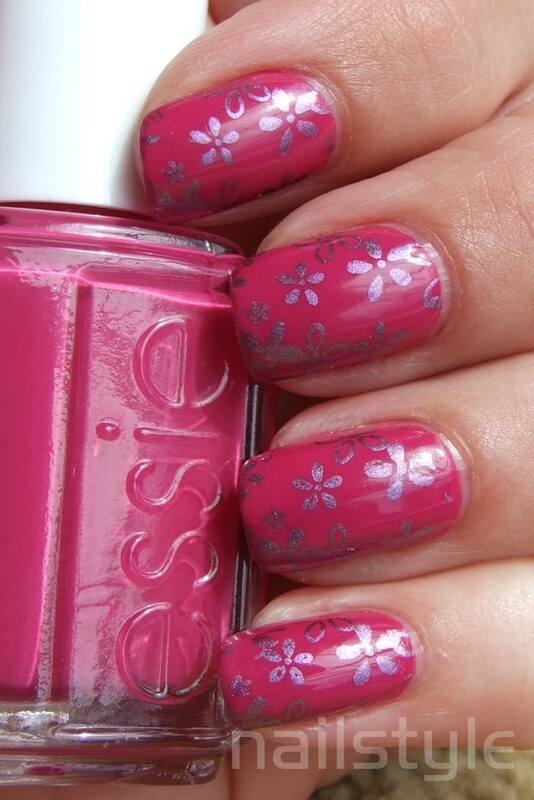 I just can't go past a vibrant purple/pink and Essie's Foot Loose definitely checks that box! Foot Loose is a gorgeous blue based creme. I struggled a bit with the brush with this polish - it is tiny! I guess that could just be in comparision to an OPI brush which huge in my opinion. 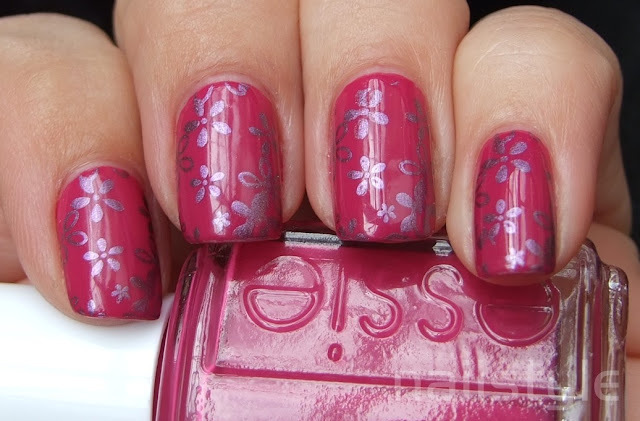 The formula is gel like and opaque in two coats - well nearly one actually. 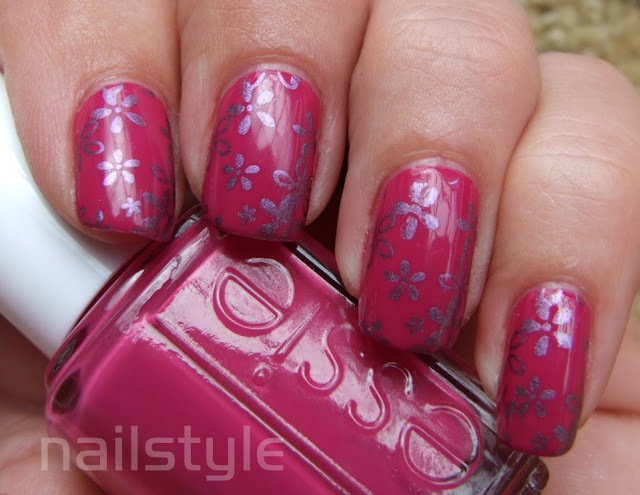 I have to do two coats for good measure - it doesn't seem right to do just one! I didn't get a photo of it on it's own, but this is my favourite way to stamp - a metallic polish stamped over a creme base. Anyway here's how I wore it . . .
a cor que você escolheu ficou formidavél! It looks like some kind of oriental print- I love it! Love the stamp on this! So awesome! Adorable. 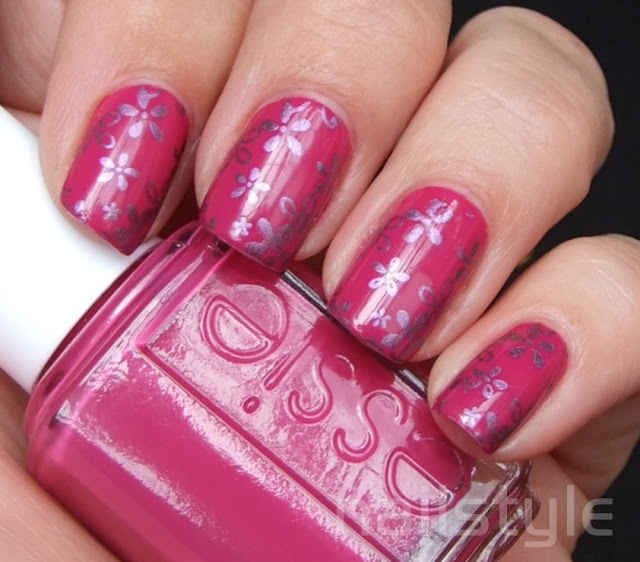 I loved the stamp and the color combination!